Hotel Valadier is the ideal location for a relaxing stay in the centre of Rome and now has a new Fitness Room built to meet the needs of our guests. 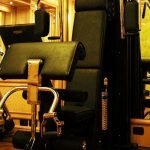 A small but comfortable Valadier-style gym equipped with everything you need for a perfect workout. Thanks to Technogym® cardio-fitness equipment, hotel guests can now enjoy a good workout in comfort and total privacy. The latest in treadmill technology, recliner bikes, multi-functional stations and a wellness ball to stay fit and continue your regular health habits even when you’re far from home. Qualified personal trainer on request. The Fitness Room is open every day from 6:30 am to 11 pm. Just tell the Concierge Desk when you want to go and they’ll make sure everything is ready for you: towels, bottled water and fruit, all to pamper the guest any way we can. If, on the other hand, you prefer to go jogging or do an outdoor workout, we’ll show you an itinerary in Villa Borghese where, from a great spot at the Pincio, you can enjoy the most beautiful view Rome has to offer. And if you want an athletic trainer to assist you on your excursion and make your workout even more effective, that can be arranged too.